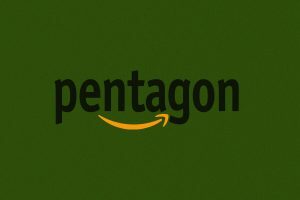 Jeong recently wrote the piece “’Everybody Immediately Knew That It Was for Amazon’: Has Bezos Become More Powerful In D.C. Than Trump?” for Vanity Fair. Jeong writes: “There’s a new scandal quietly unfolding in Washington. It’s far bigger than Housing Secretary Ben Carson buying a $31,000 dinette set for his office, or former EPA chief Scott Pruitt deploying an aide to hunt for a deal on a used mattress. It involves the world’s richest man, President Trump’s favorite general, and a $10 billion defense contract. And it may be a sign of how tech giants and Silicon Valley tycoons will dominate Washington for generations to come. “The controversy involves a plan to move all of the Defense Department’s data — classified and unclassified — on to the cloud. The information is currently strewn across some 400 centers, and the Pentagon’s top brass believes that consolidating it into one cloud-based system, the way the CIA did in 2013, will make it more secure and accessible. That’s why, on July 26, the Defense Department issued a request for proposals called JEDI, short for Joint Enterprise Defense Infrastructure. Whoever winds up landing the winner-take-all contract will be awarded $10 billion — instantly becoming one of America’s biggest federal contractors.